I have noticed a trend of homeowners wanting ultra modern, sleek, contemporary interiors - at least here locally. 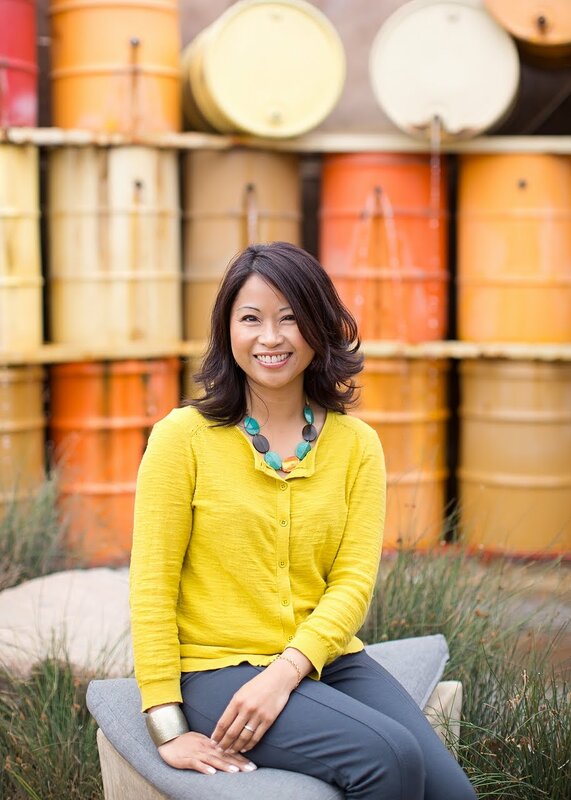 I'm talking exposed concrete and the heavy use of steel inside their homes. This "style" can look and feel very stark and cold to many, but it can also be quite beautiful when properly integrated into a home's design. If you happen to live by the ocean, or in a climate with strong weather elements, concrete and steel structures may become your best friends. Both are highly durable and low-maintenance. 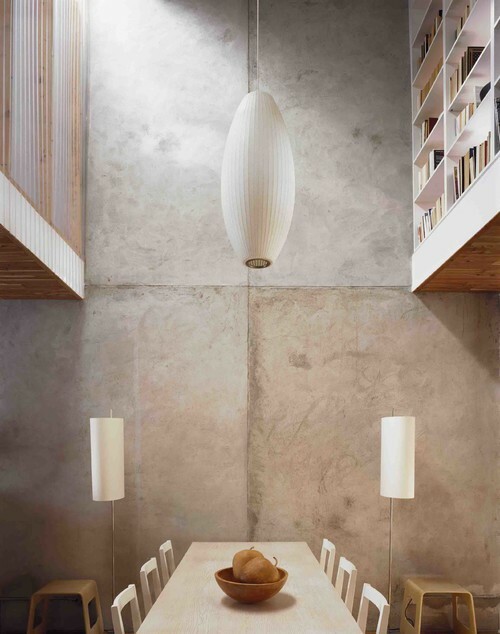 This polished concrete wall speaks volumes by itself - not requiring any embellishment with artwork or the like. The "natural" troweled marks made in the poured concrete surface, combined with the way it was scored, gives the wall depth, dimension, and lots of interest. 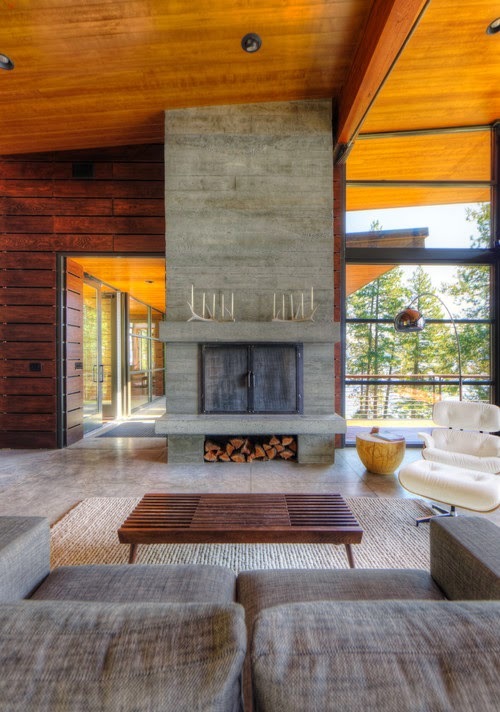 The wood ceilings and wood-paneled wall provides much-needed warmth and texture against the modern concrete and glass features. The introduction of wood furnishings (tables) and natural fibers (area rug) bring additional texture and dimension to the space. 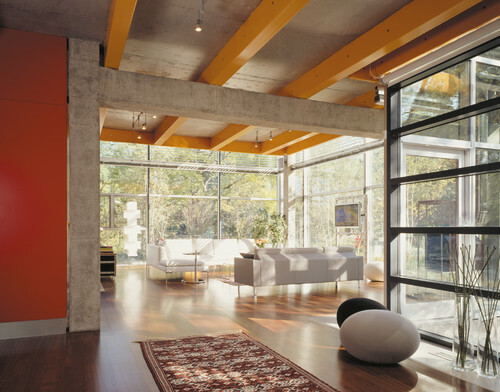 Steel beams, concrete, glass, wood, and drywall collide in this home. By painting only the steel ceiling beams and the drywall, the space got a major dose of depth and dimension, as well as color and contrast. Painting out some of the "gray" that is inherent with concrete and steel helps remove some of the cold and stark qualities associated with contemporary design. I know this is an exterior image, but for the sake of illustration, imagine a home with a concrete and steel interior take on new "life" with the addition of natural greenery! 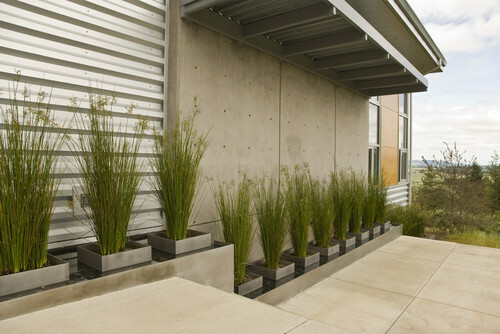 Plants add color, texture, depth, dimension, and a natural element to all spaces. They also help improve indoor air quality. I am a huge fan of living plants in the home - for the natural beauty, color, and life they add! Did any of my design tips help you warm up to the idea of living with contemporary design?! Your tips are great. I can visualize the same plants inside. They would be stunning. I would add "art". The very essence of modern is the minimalistic versions of it but, if we are looking for warmth, adding large art and/or smaller - but geometric - colorful accents can add a lot of warmth.